It’s a similar principle to Google Glass, which also uses a built-in projector. 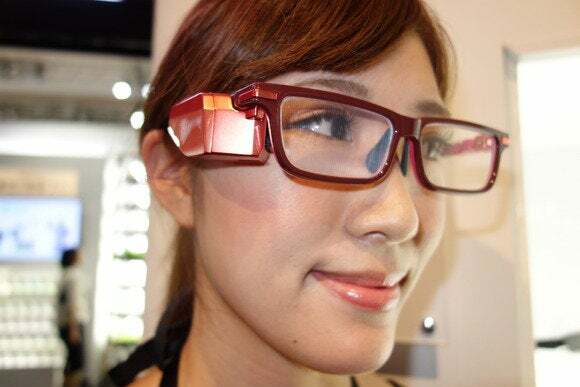 But unlike Google Glass, Toshiba’s glasses don’t have a prism over the lens to reflect the image into the eye. Instead, with Toshiba’s product, the glasses lens itself comprises a series of narrow, vertical prisms. They’re pretty much invisible when you look straight through the lens, but an image projected from an angle reflects back into the eye. Toshiba says the glasses weigh 42 grams—about the same as Google Glass, according to this report (Google doesn’t give the weight in its specs). 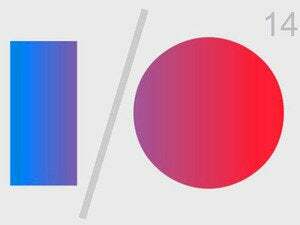 But they’re far less impressive than Google’s product for a few reasons. One is that Toshiba Glass isn’t wireless—it connects to a smartphone in your pocket in order to work. That’s partly because the battery for the projector would make the glasses too heavy, according to Toshiba—although Google somehow managed it. The other they’re less impressive is that Toshiba Glass isn’t a full-blown computer. It’s really just a display system that connects to your smartphone. 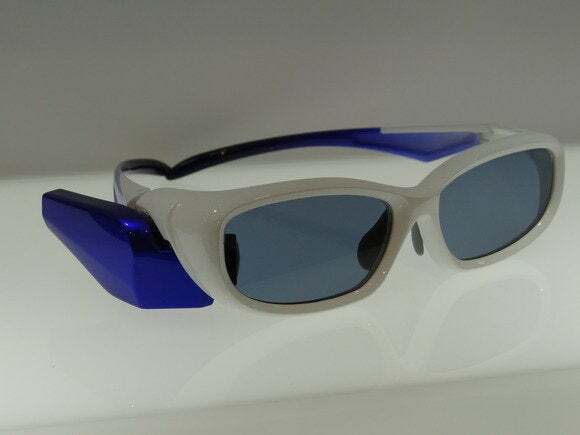 It will offer three styles of frame—standard, sporty, and industrial, the last being protective googles like you might wear in a lab. Use cases include displaying information from a health app, so you can see your speed and heart rate while you’re cycling uphill without pulling out your phone, for instance. That type of everyday use seems unlikely, though, when the glasses need a cable hanging out the back. It’s easier to imagine an industrial use case, like giving an engineer instructions to repair something, so they can still have both hands on the job.